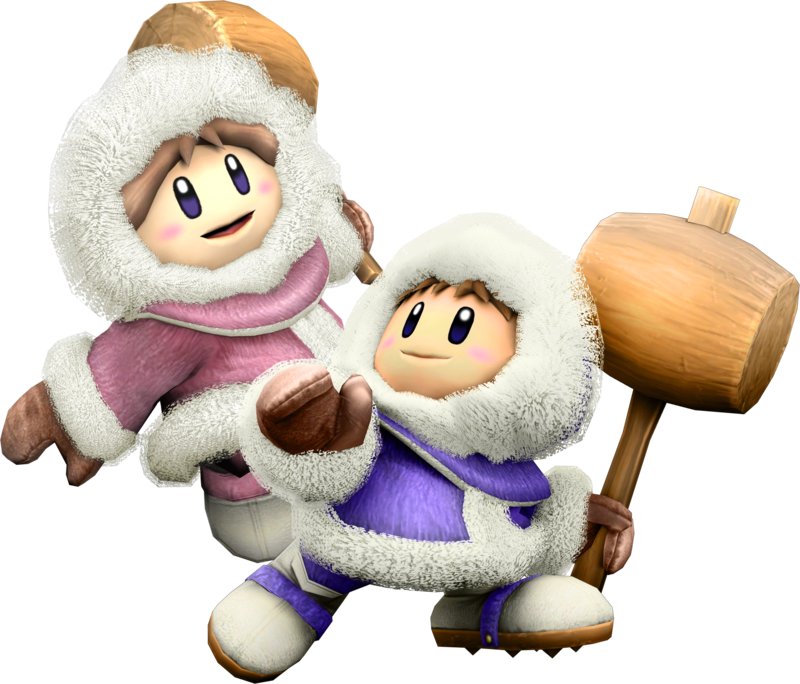 The Ice-Climbers aka Popo and Nana were the protagonists in Ice Climbers on the NES back in the mid eighties already but returned eventually as one playable character in Super Smash Bros Melee (2001) and Super Smash Bros. Brawl (2008). 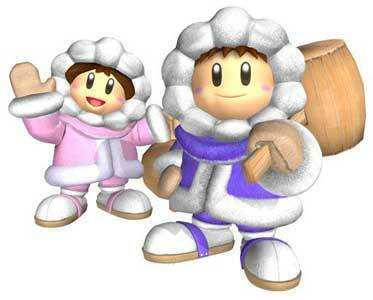 They did not return in the sequel Super Smash Bros 4. 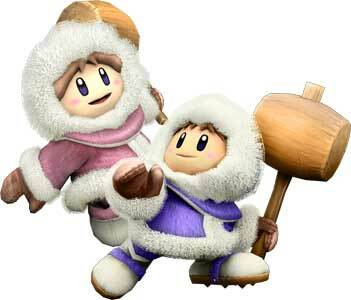 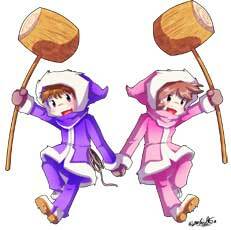 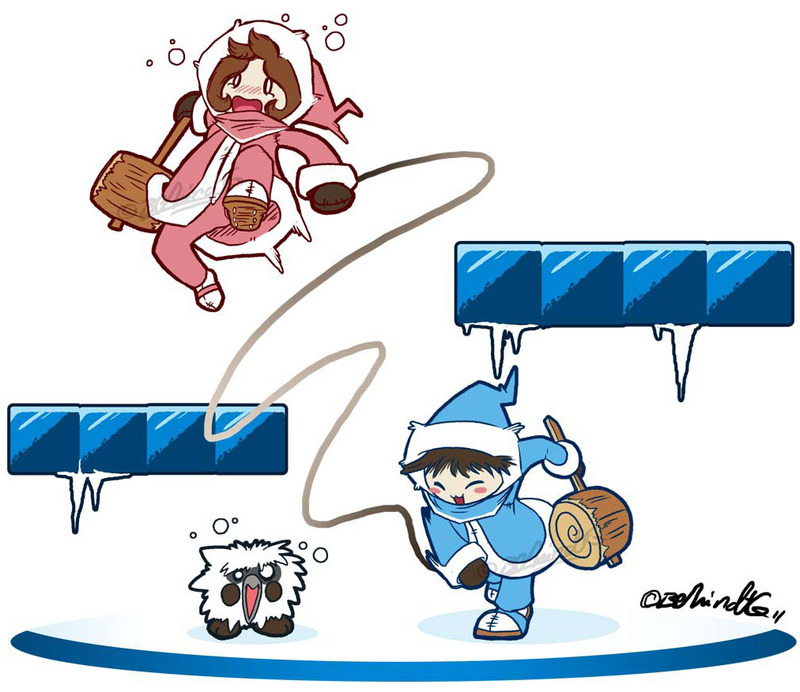 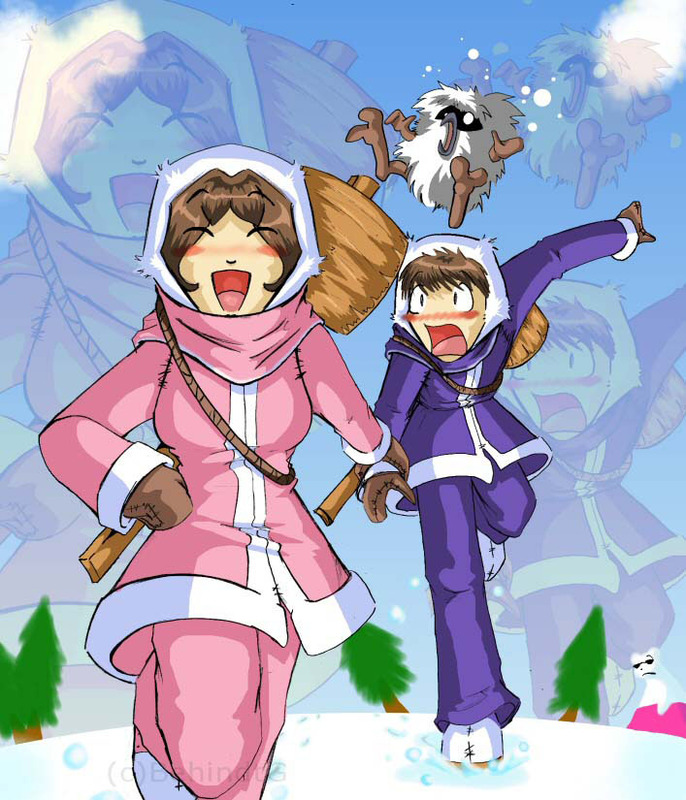 Official Game Art like promotional Illustrations of the Ice Climbers from Super Smash Bros.